Iranian photographer Ako Salemi captured the impacts of climate change in his country in 2016 for the Pulitzer Center. By 2040, 35% of Iran will be unsuitable for life, according to NASA, because of the increased warming and drought in parts of the country. 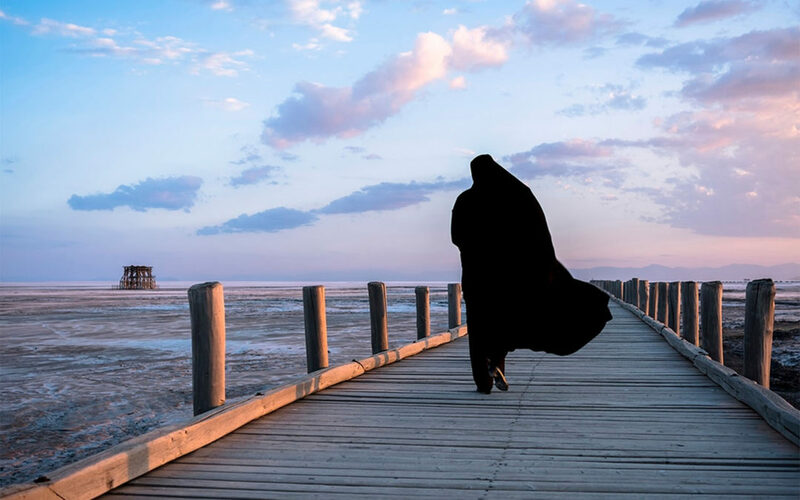 This photograph shows a woman walking out onto a pier which once was surrounded by the waters of Lake Urmia. This lake has dried up and has left many former fishermen without sustainable livelihoods. “In Iran you can see climate change in action,” says the photographer. Iran’s population continues to grow, even as the water and inhabitable places in the country continue to decline. Sooner than later, this will likely lead to conflict and significant struggles for the country.